Have you got plenty of traffic but it’s not converting? Conversion Rate Optimisation (CRO) can be the difference between a business making it or breaking it. This is particularly true if you are participating in any kind of PPC or Adwords advertising. We have years of experience in finding the areas of the sales and lead generation funnel that are bottle necking your sales process. 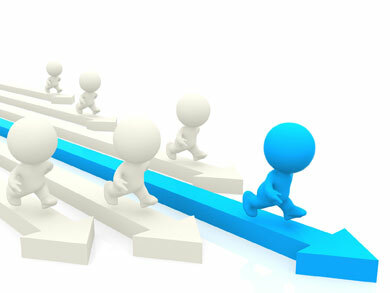 We have helped many Australian companies to improve the sales and lead generation process. Converting your traffic can be key to making your web site work for you. Whilst most conversion techniques work anywhere, uniquely we take into account the Australian parochialism in our anaylsis process and help you apply our findings. We do full conversion audits using analytics and other state of the art tools to make sure your website is converting at it’s optimum. Through empirical testing and evaluation we identify areas where visitors are getting lost in the conversion funnel and present solutions to implement. We understand user flow and our specialists can help to improve the user experience to increase overall conversions. The experts at D marketing keep abreast of the latest design influences, with a special interest in what makes the sales process a more user friendly experience. Our approach is not all one way. We want to understand you, your employees and your business. Our methodology requires getting an understanding of scope and intention of your business and transferring that into plan to maximise online conversions. We are firm believers that technology is only part of the solution. The other part of the equation is the process. Organising your people and resources to handle increased number of leads can be key to being successive online. Process is the key in these situations and D marketing understands that without the right processes in place, increased traffic and leads on their own. may not drive growth and can in some cases be detrimental to organisational growth. Don’t believe us? Give us a call.